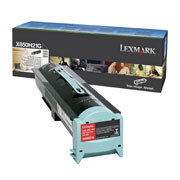 Average Cartridge Yield 30,000 standard pages. Declared yield value in accordance with ISO/IEC 19752. 30,000 standard pages Declared yield value in accordance with ISO/IEC 19752.